Time to sharpen those cursed axes. Being a zombie doesn't seem like a gig with many perks. You shamble around, moan, and lazily point at things for days on end for the chance to maybe, just maybe, munch on a brain or two. Your teeth are the most important part of your job, and you don't even get dental! 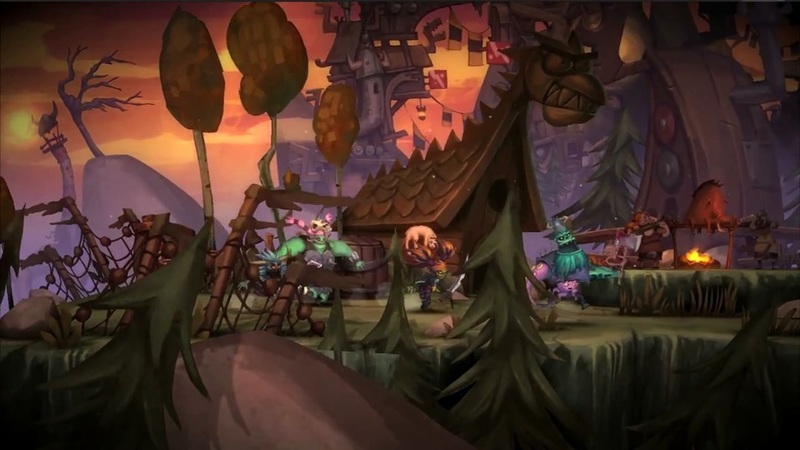 Zombie Vikings, on the other hand, have it great. They get to go on sweet road trips, hack up aggressive worms, and just generally pal around. Sure, you have to have prior experience as a viking, but I can think of worse ways to spend a summer internship. 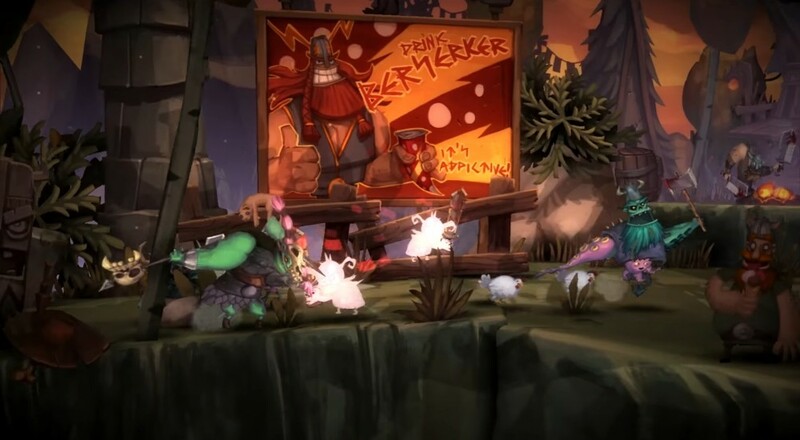 Zombie Vikings was released to the masses in the fall of yesteryear on PlayStation 4 and PC, and the protagonists' fortunes have grown even further with the recent announcement of a forthcoming Xbox One port. Soon enough, you and three friends will be able to traipse around Midgaard in front of the warm glow of Microsoft's premier console. There's no specific release date just yet, but Klaus Lyngeled of Zoink Games, did share a few juicy details about the features of the Xbox One version. Two free DLC player characters will accompany the game, and the developers are also packing in a making-of video and five extra versus levels. On top of all that, Xbox One gamers can slice and dice their way through the Underworld as Raz from Psychonauts. We reviewed the game back when it first came out and weren't especially fond of it, but we recognize that any chance to wrangle a few friends together for some local co-op shouldn't be taken lightly. Be sure to check back here as more details emerge about the port's features and release date. Page created in 1.1787 seconds.